Whether you are facing a Class A Misdemeanor, Class B Misdemeanor, Class C Misdemeanor, Traffic or OWI(s)/DUI(s), we can provide you with fair and just legal counseling. The Schenk Law Firm’s commitment to defending the rights of the accused and to the presumption of innocence will make the difference in the outcome of your future. When In Need of One of The Best Criminal Defense Lawyers, Look No Further than the Schenk Law Firm, Quality Representation Without Breaking Your Bank! The Schenk Law Firm can assist you in proving your innocence with our experience in criminal defense law. By immediately hiring the right criminal attorney, you put time on your side. While you are searching for an attorney, the prosecution is building a defensive case against you. The prosecutor begins their case with a police report that may automatically place you in a negative light. The report may contain biased information against you. The Schenk Law Firm’s criminal defense attorneys will make the effort to obtain information for your case and deliver it to the prosecutor before trial begins. You maybe eligible for release, first you need to contact a lawyer now. By choosing the Schenk Law Firm, our experience in criminal misdemeanor law may differentiate your destiny regarding a jail sentence versus reduced or even dismissed charges. Even less serious charges require a competent and effective criminal defense attorney to obtain the results you deserve. 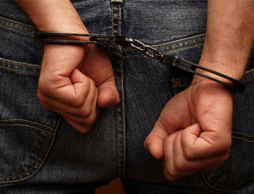 The Schenk Law Firm has the misdemeanor criminal defense experience your looking for!